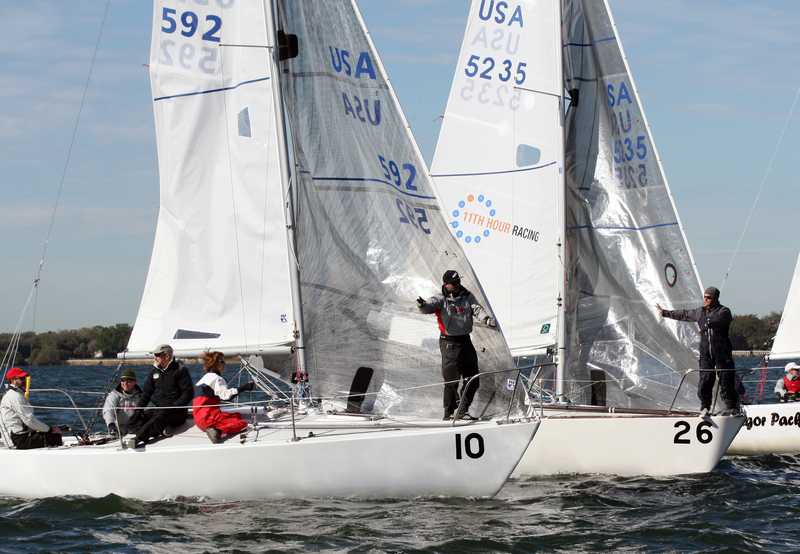 Tampa, Florida –With a total of 8 points, Peter Bream of Jacksonville, Florida remains on top of the leader board after the second day of racing for the 2012 J/24 Midwinter Championship. 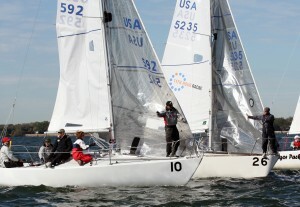 Bream, the defending champion, sailed to a solid fifth place finish in the day’s only race, held in a perfect 10 knot breeze under sunny skies. But as forecasted the wind gradually shifted to the south and died as the remnants of a cold front finally pushed through the area, eventually causing the committee to abandon for the day. 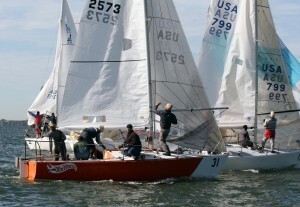 The day’s race winner, Tony Parker of Annapolis, Maryland, moved up to second place overall with a throw-out race now in effect after the regatta’s fifth race. Parker played the right side of the course on the second weather leg to take the lead and then managed to hold off the fleet to the finish. Third place overall is held by John Mollicone of Newport, Rhode Island, ably assisted by former J/24 World Champion, Tim Healy, calling tactics. The forecast looks promising for the remainder of the 11-race series, with south winds and warm temperatures expected for the next several days.